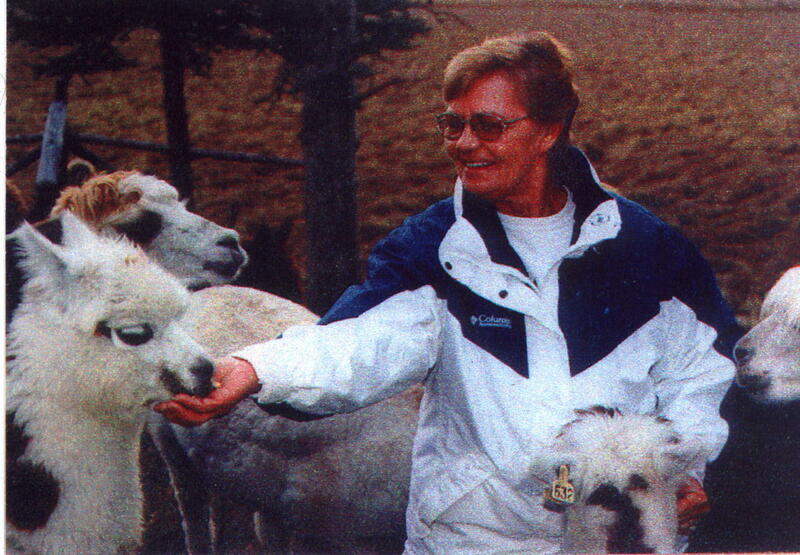 Alpaca's are easy to raise, they are used for breeding stock, fiber, companions and pet therapy. Their are two different types of Alpaca's Huacaya's is the most common type. It has a soft dense body hair and has a crimpy appearance. The Suri is less common and is covered in long pencil fine locks which hang straight down from the body. We have both types on our ranch. The Alpaca as a rule is a gentle animal and easy to handle. In addition to the Alpaca we also have & Miniature Horse's. These breeds are sweet to handle and are affectionate. As they are quite rare we are breeding them selectively & are selling only what we can not use for our fiber mix with the alpaca fiber or just have fun with. We are located in the heart of the Cariboo. Our ranch has the original Gold Rush Trail running through it. We are 12 mins South of 100 Mile House, on highway 97 north of Cache Creek, B.C.